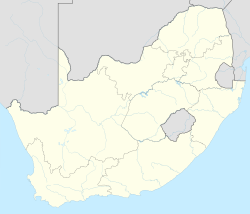 Sunninghill is a commercial and residential suburb of Johannesburg, South Africa. 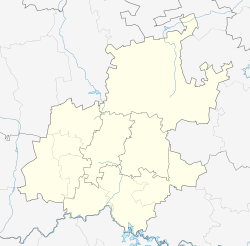 It is located in Region A of the City of Johannesburg Metropolitan Municipality. The N1 freeway, which at this area is eight lanes across, forms its southern boundary with access at Rivonia offramp. The K60 road runs through the centre of Sunninghill to assist in easing traffic. Sunninghill is bordered by the suburbs of Paulshof, Kyalami and Woodmead. There has been significant growth[clarification needed] within the suburb, with most previously open land spaces becoming occupied by residential complexes or businesses. Sunninghill Hospital is a first-class hospital in Johannesburg, managed by the Netcare Group. Many large corporations have offices in Sunninghill, including Acer, Eskom, PriceWaterhouseCoopers, CA, Inc, Astrazeneca, RCI and Unisys. Primary shopping centres in Sunninghill include Chilli Lane (with retailers including Woolworths and Pick 'n Pay Stores and a Virgin Active gym); The Core (offices and restaurant retailers); and Sunninghill Shopping Centre (speciality restaurants and retailers Spar and Woolworths). There is an older centre, The Square, with anchor tenants Checkers and Cash Converters, and various food outlets and retailers. St Peter's College is a secondary co-educational private school situated adjacent to Eskom Megawatt Park. ^ a b c d "Sub Place Sunninghill". Census 2011. ^ "Fournos home". Fournos. Retrieved 2018-11-11.